Our goal with this website is to provide you with information about who we are, what we do, and most importantly, what we can do for you! 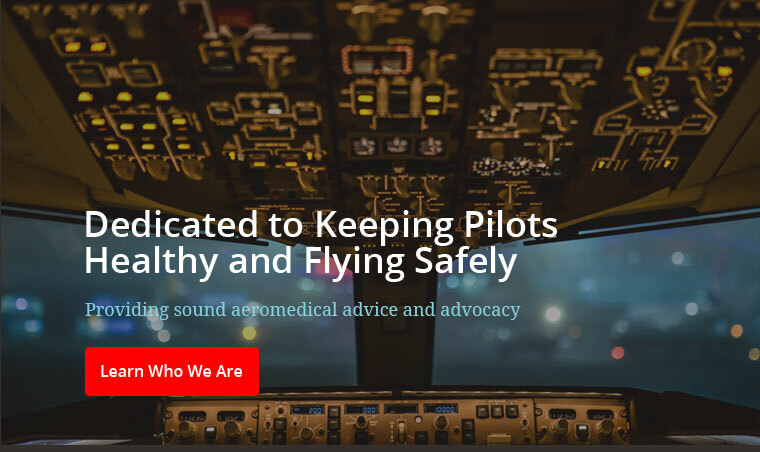 If you are a pilot, air traffic controller, or otherwise involved in aviation and need expert aeromedical advice, you’ve found the right place. We also believe that our office is the best place in Alaska to obtain a fast, efficient, and competent flight physical. This is all we do, and we do it very well! We are close to Ted Steven’s International Airport and Lake Hood, on the corner of International Airport Road and Spenard Road. The office is on the second floor on the north side of the building (facing the Marriott Courtyard). We’re open Monday through Friday from 9:00 am to 4:00 pm, and by special appointment after hours and on Saturdays. Walk-ins are welcome,but might require a bit of a wait if we’re busy. You may contact us through our web site or by calling (907) 245-4359 during normal business hours. Please let us know if you are on a Special Issuance Authorization, or have a medical condition and/or are taking medications that might require extra time with the AME, so that we can schedule accordingly. We give each pilot all the time and attention needed, but try not to get behind and to avoid keeping others waiting. Although we do have a computer station in the waiting room for pilots to input their medical application on line via MedXpress, we much prefer that you do that in advance. Don’t worry if you make a mistake or are unsure how to answer certain questions, as that can be corrected by the AME. We must have your confirmation code in order to start the flight physical process. NOTE: if you have any concerns that you are not ready for a flight physical and need first to consult with the AME, it is not necessary to use MedXpress. We prefer to discuss the situation first and obtain the necessary medical records to determine what needs to be done to satisfy the FAA before opening up an application. However, if the pilot does input an application yet it is not opened by the AME, it will be deleted in 60 days, and no harm will be done. However, if it is opened, the AME is obligated to finish the exam, which may complicate things for the pilot by incurring a possible denial by the FAA while medical records are being gathered. The take home message is: consult first, then apply! No matter where you live, we can provide you with sound aeromedical advice and advocate for you every step of the way. We often assist pilots outside of Alaska by advising them of the FAA’s requirements regarding their medical conditions, help them obtain the necessary medical documentation, review their records for quality and completeness, and work with the FAA (and often with their own AME’s) to get their medical back. Drs. Petra Illig and Arthur Tilgner are two of only three AME’s in Alaska certified by the FAA to manage HIMS cases. This program allows pilots to return to flying after being successfully treated for alcoholism or substance abuse, and provides ongoing monitoring during the time they are under Special Issuance Authorization. We are pleased to have assisted over 50 such pilots to get their medical certificates back, but more importantly, help them get their lives and their careers back on track. Aviation Medical Services respects the privacy of our customers, and you can be assured that any information you give us will be held strictly confidential within the confines of the law. Basically, we don’t gather and sell your information, or give it to any third parties under any circumstances without your express consent. And with that little bit of legal-ese being said, you should be able to browse and use our site with peace of mind.